I haven’t always had the best experience when coming here, I was told by the guy in the office when I wanted to understand something to read the manual or some of the ladies in service department are so kind... but then came Bethany she is such a gem!! Don’t let her go!! My husband and I had the best experience with Kris Elder today. He sold us a car this afternoon, showed us all of our options, took the time with us, and got us the best deal on our vehicle. We would recommend him to anyone buying a car. Thanks again!! 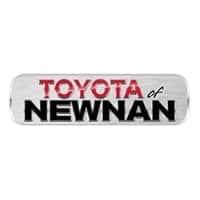 After dealing with all of the other Toyota Dealets in the Atlanta area and having negative or less than postitive experiences, I have to give Toyota of Newnan high marks. The salesperson Chas Brown was awesome about taking time to allow a good buying experience while being transparent in the negotiation process. Then being passed off to Otto in Finance was a smooth transition from Sales. He did an awesome job explaining the options, keeping the deal as described and packaging the maintenance options. After getting the sale completed I had to go back to Service twice for a tire balance issue. While not ideal, the Service Manager made sure the issue was resolved and Bethany in service took the time to follow-up with a text after to make sure the issue was resolved. Kudos to the whole team, just wish I were closer to have them complete all my service needs. Best experience to date as far as purchasing a vehicle. I really didn't think that I would be able to get a car the day I came in. I wanted to see the new RAV4 body style. I never even thought of the CH-R until Kris came by to help me. He wasn't pushy at all which I love. And I used to be a product specialist for Chrysler where I would know things the salesman would not know but Kris really cares about these cars on the lot and knew the CH-R almost like he built it. That was extremely helpful in helping me make my decision. That vehicle ended up being the best suitable for me over the new RAV4. The seats are so comfortable on my back and unlike when I got my Mazda at Jim Ellis (which was the worst) they made sure my vehicle was in perfect condition. I have had zero problems with this vehicle. The price point was perfect for me and Kris was very honest with me from the time I got there to the time I left with my new CH-R. Everyone in there was pleasant and helpful everytime I came in. The manager Greg Faison also handled me with care and was patient. And lastly, Otto in financing is also pretty great because he took the time to fully explain all my options and cared very much that I was covered while making sure my car note was manageable. Kris's manager gave me the idea to get this color combination picture below because I was dead set on the blue. This color is combo is so dope! I'm so happy!! I got a great deal on a beautiful new truck here. No pressure, no hassle, quick, easy quality. It was a great buying g experience. The staff was awesome The salesman Conner was friendly and very professional.